This place of the Macedonian land is strongly associated with the Macedonian Kingdom and Orthodoxy, due to the important ancient city of Filippi and the Monastery Ikosifinisas. On our way, we will cross the southeastern part of Drama’s plain – one of the most densely populated areas of our prefecture – in order to meet the significant archaeological site and ascend the slope of Paggeo later. There, we will visit the Monastery to worship the miraculous icon of Panagia (the Virgin Mary). Following the national highway for Kavala, we will start from the historical village of Choristi, 5km far from Drama. It is a place of historical importance of the Roman Times. It is also special for its intellectual tradition and has been proved by the establishment of the music-dramatic club « Macedonia Reborn» (1906). Choristi was inextricably linked with the economic boom at the end of the last century, thanks to field cultivation and tobacco trade. Dwellers faced many difficulties, because of their participation in the Macedonian Struggle, during the both periods of occupation - in 1916-1918 and the other in 1941-1944. On the main street of the village (live 2,500 dwellers), there was a s tream - which once divided the village with the raging waters – that is why they call it Choristi (Separate). Here, we find the church of the Virgin Mary (1906), where we can see six icons on the temple, of the famous artist Konstantinos Parthenis and an ecclesiastical book of the same era. We can also see neoclassical buildings of the decade 1920. Nowadays, many visitors are gathered in Choristi on the Shrove Monday (Kathara Deftera), for the carnival festival with chariots and masked people. We go back to the highway, to visit another major village of the area, the known martyred Doxato – 10 km far from Drama. It is generally known for the dwellers’ sacrifices, during the struggle against the Bulgarians, who excruciated and slaughtered many of them. It was a residential region in the Roman Times, too. This place was economically developed in the 19th century, thanks to tobacco cultivation. People of Doxato founded the Educational Brotherhood «Filippi» in 1874 and music-dramatic groups. Due to the dwellers’ slaughter in 1913 and the executions in 1941, the village suffered serious setbacks in its development. The era of prosperity for the village, of 3,500 people – the majority of which are indigenous – it is obvious in its monuments. The recently restored School of 1908-1910, is a beautiful building that peo ple built with the help of Drama’s Metropolitan Chrysostomos – who became Metropolitan of Smyrna. They also built a three-aisle, vasilikis rhymn church, dedicated to Agios Athanasios (1867), with a pictorial decoration of the mid 19th century – by the folk artist of Nevrokopi. The church has also a steeple of 1893 outdoors. In the main streets, visitors can see the mansions of Doxato from the 1920’s, such as those of Vogiatzis and Zigili. There are houses with municipal standards and many decorative elements on the facade and the roof. There were extremely practical buildings, because they were used for productive needs – using the ground floor as a workplace for tobacco processing. On May 2, the day that the whole village celebrates, people stage special, traditional races in Doxato, involving thoroughbred horses. These races remind us the horse-love of the ancient inhabitants of the region, Hedones. Thousands of guests attend the races, while, in the main road, takes place a unique feast for all of the villagers in the evening, with traditional music and dancing. Then, we are going to cross one of the most economically developed villages of the region. Agios Athanasios with 3,500 dwellers of Pontiac and Thracian descent, who stage and participate in many cultural activitie s. North and 5km away from Doxato, we find Kyria, which is the administrative seat of the municipality of Doxato. This place was a tobacco productive one with famous varieties of tobacco from the 19th century. It is inhabited today, by Asia Minor refugees, who respect and maintain their traditions. Apart from their unique art in lamentations, dwellers of Kyria organize a special feast at the café of the square with traditional instruments and songs with lewd content– the last Sunday of the Carnival. We will also visit Kefalari, 2km east of Agios Athanasios, to enjoy the tranquil landscape of plane trees next to running water springs of Voiranis, where revealed an ancient wine press for wine production. Nowadays, we find several producers of wine and raki in these villages and in Kyria, we can get traditional halvah. Except for the barbecue taverns with local trout in Kefalari, we can find excellent restaurants throughout the area, from Doxato up Pigadia. Just after our staying in the municipality of Doxato, we go ahead at east, into the prefecture of Kavala, 21km far from Drama, in order to take a tour at the archaeological site of Filippi – which was a city built by Thassians colonists in 360 BC, named Krinides. Then, it was renamed by the king Filippos of Macedonia in 356 BC and flourished, during the Roman occupation, especially the 2nd AD century. We will see the ancient theater, which was built by Filippos in its original form and it is full of visitors every summer for the performances of the Festival – with the same name. 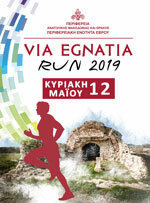 We will also descend to see the Roman market (1st AD century), the arena (2nd AD century), Thermes (hot baths) of the mid-3rd century, the ruins of an early Christian Church with massive columns from the mid-6th century and finally, we will walk on one part of the famous Via (Street) Egnatia. The ancient city was connected with the visit of Apostolos Pavlos (Apostle Paul), who taught Christianity here, for the first time in Europe, 49/50 AD, after a vision with the appearance of the «Macedonian man». We will visit the prison of Apostolos Pavlos, where the Roman pagans, according to tradition, put the disciple of Christ in it, as a «troublemaker». However, he was freed with the help of an angel. In addition, we will walk into the idyllic place, near the «present Baptistery of Lydia» - where the porphyry dealer (Lydia), was the first who embraced Christianity in Europe, during the sermon of Apostolos Pavlos. We cannot neglect to visit the ancient treasures that are kept in the museum. North of the museum is the citadel of the city, where a tower of the Byzantine Times is preserved. Among other reasons, Filippos chose this specific location for the installation of the Macedonian colonists, because it was close to the gold mines of Paggeo - which provided the financial means for the promotion of the Macedonian Kingdom in leadership all over the Greek world. Paggeo Mount was surrounded with great respect in Ancient Times, because it was thought by Greeks that on its peak was the oracle of Dionysus - the much-loved god by the residents of the area. Nowadays, this place is still surrounded with the same respect, because it is like a lighthouse, which emits a spiritual light a lot of centuries. The Monastery Ikosifinisas – which belongs to the Diocese/Metropolis of Drama - is like a «Beacon of Orthodoxy». On our way to the Monastery, we cross the fertile plains of the region, which the dwellers call them «Valta». We leave Lydia and go east, towards Kalamona and pass south of the hill, where the legendary battle of Filippi in 42 BC took place, between the democrats, Brutus and Cassius and the holdovers policy of Julius Ceasar - Octavian and Antony. After 10 miles on passable, country road, we turn left, towards Nikisiani. The area was covered by the waters of a lake until 1930, when drainage works liberated large areas for farming. We feel that we can visit the beautiful villages of Paggeo on the left. Then, we continue from the intersection of Nikisiani towards Kormista and the Monastery, 7km far, at the foot of Mt. Paggeo. The last part of the route is steep and narrow and the total length of the road is 6km. As we approach the Monastery, the vegetation is richer and covers the road in some places. The area offers excellent views of Symvolo (Symbol) Mountain and the plain. The Monastery is at an altitude of 753m, into a well protected slope of Paggeo, which is famous for its exceptional climate. According to the religious tradition, the Monastery was built in the 5th century by the founder, St. Germanos. The Virgin Mary appeared with an angel to the ascetic of the Holy Land and She advised him to build a monastery in Macedonia. The traditions of the Monastery mention that the Virgin Mary offered to St. Germanos Her miraculous, without hands image, under the bright «Phoenician» light. That is why the Monastery was dedicated to the Virgin Mary and named «Ikosifinisa». Thousands of pilgrims come every year to the Monastery of Paggeo, thanks to the miraculous image. According to another interpretation, the founder of the Monastery St. Germanos, lived and founded the Monastery in the late 8th century. However, we know by available sources, the first known name, 14th century, was Kos initsa. This is a word of non-Greek origin, which is used with the first Greek name, after many years and finally, named Ikosifinisa, from the 18th century. The Monastery became for the first time, in 1471, a kind of a shelter for the Ecumenical Patriarch Dionysus. There, he finally retired and died after the completion of his second term (1490) to the patriarchal throne. Among many adventures that the Monastery met, we stand out the massacre of 172 monks by the Ottomans in 1507. It also developed, under the Turkish rule, a rich spiritual and national action, to strengthen the morale of the oppressed Greeks – especially, during the period Chrysostomos lived in Drama and the Struggle in the early 20th century. The archives of the Monastery, mainly codes, pillaged on the Great Monday in 1917, during the Second Bulgarian occupation (1916-1918). The disaster ended with the arson of the Monastery on 12 July 1943 by the conquerors. Since 1967, when it was reconstructed thanks to the efforts of the Bishop of Drama, the nunnery is the only one, which is opened to the Orthodox each year - as the serenity and the spirituality of the place dominate into the breathtaking natural surrounding. The church of the Monastery, which was saved by the insistence of the conquerors, was founded in the late 18th century and proceeded the rebuild at the second phase, between 1837-1842, except for the sanctuary – which belongs to an earlier period. On this wonderful wooden temple is the miraculous, without hands image of the Virgin Mary. This was finished in 1803 by craftsmen from Chios Island. Th e murals of the exterior church, the porch with the columns and the interior, were all created between 1858 and 1864 by the Moldavian painter Matthew. He was also known by his works on the Mount Athos and his assistant Nikolaos from Thessaloniki. On the porch depicts scenes from the Old Testament. The creation of Adam and Eva, their removal from the New Testament, the Nativity of the Virgin and persons associated with the history of the Monastery, like St. Germanos and Patriarch Dionysus. The icons in the church are more recent due to the destruction of the older pictorial decoration by the conquerors. After our tour in the center of orthodoxy in the region, we choose to return through the municipality Kalabaki. Having passed the village seat of the municipality, which is the economic center, the road leads through Ftelia to Mikrochori. There, we are going to visit a sophisticated winery and make a tour in the facilities and the cellar. We can also help ourselves to a wine in the tasting room. In the traditions of the place, we stand out «kourbani» in Kalabaki, which is a Thracian refugee’s custom, on January 18, where people eat and have fun. Proposals for travelling are very challenging for the visitors. They can mainly visit the forests and the mountains of the area – something that attracts those who adore nature, exploration and adventure. Only everybody by themselves can try to find the charm of the nature in all seasons. In the land of the ancient Hedoni, everyone has the opportunity to visit the place and test their personal abilities.